In addition to it thought the big title reveal was coming yesterday, a "leak" from Reddit claimed the Star Wars: Episode IX title was "Balance of the Force." However, doing a 1-second Google search reveals "Balance of the Force" is actually a Star Wars pinball game, and it reveals how desperate various click-bait sites truely are, especially when ad revenue is at its all-time low at the beginning of the year (lol). 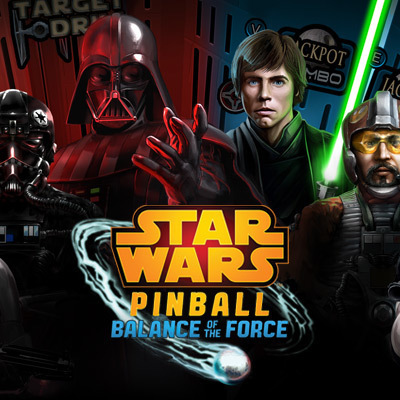 I think it is safe to say that "Balance of the Force" is ruled out as the Star Wars: Episode IX title, as being named after a pinball game would be rather lame (not that pinball games are lame, just that the title has already been used, eh?). Regarding the Star Wars: Episode IX title reveal, there is no official date when it will be happening, but it does seem as if something is happening. Mark Hamill, Anthony Daniels and various Star Wars writers have been teasing something on Twitter, we just don't know when. Star Wars Episode IX has a Dec. 20, 2019 release directed by J.J. Abrams starring Daisy Ridley, Adam Driver, John Boyega, Oscar Isaac, Lupita Nyong’o, Domhnall Gleeson, Kelly Marie Tran, Joonas Suotamo, Billie Lourd, Naomi Ackie, Richard E. Grant, Keri Russell, Mark Hamill, Anthony Daniels, and Billy Dee Williams, with unused footage of Carrie Fisher being used to bring back Leia.